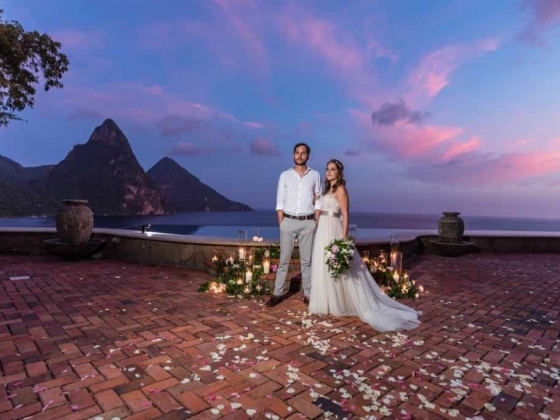 Saint Lucia is the perfect destination for your unique wedding, reception and honeymoon. 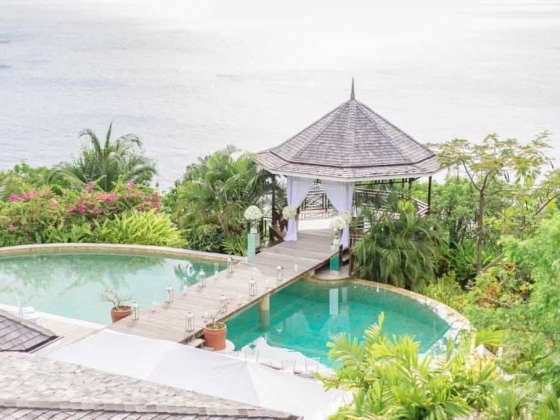 This lush tropical island has the best the Caribbean has to offer with some of the most stunning ceremony venues in the world. 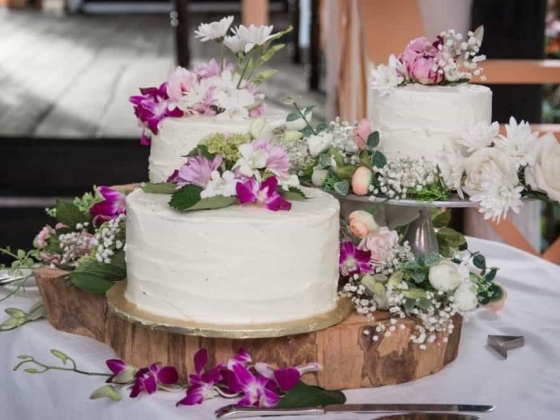 Whether eloping or planning a wedding for 150 of your closest family and friends, we have venues to suit. 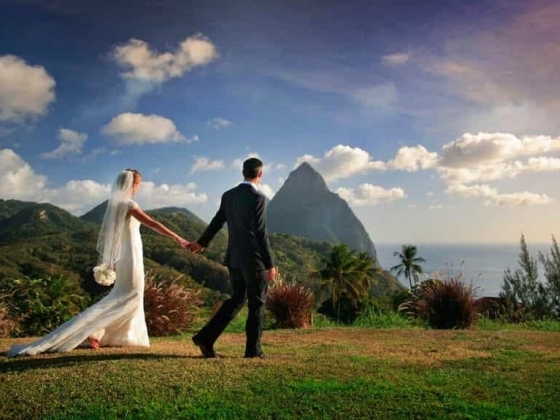 We have been organising Caribbean Weddings in Saint Lucia since 1999 and we LOVE it! 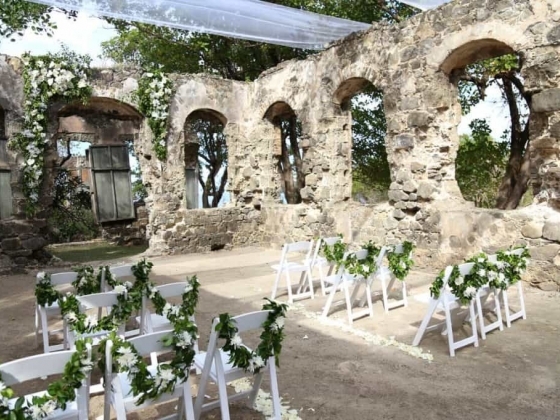 Getting married in the Caribbean is a departure from a traditional wedding back home in more ways than a simple change of surroundings. 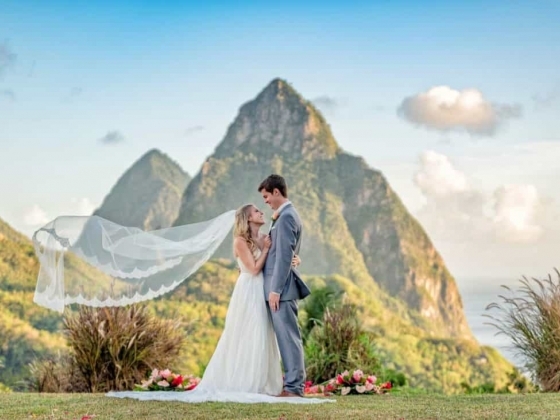 Unexpectedly, what with all the constraints of doing it at home, holding your wedding in Saint Lucia can in fact be a release. You can arrange it in any way you like and do not have to worry about mom/sister/aunts expectations if you do not want to. You can use the wonderful natural setting as a backdrop for any fantasy or adventure you’d care to choose. 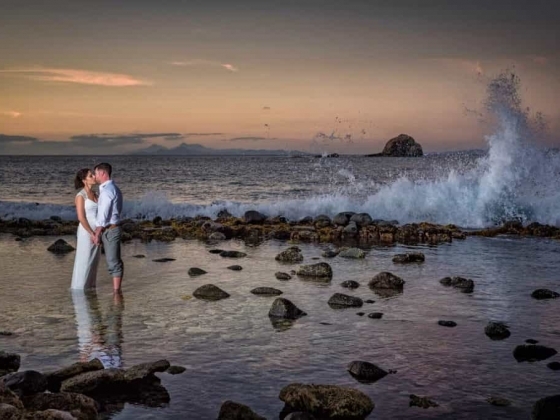 There are just a few local regulations to cope with, and we will guide you smoothly through those, and then you can be married on the beach at sunset, or at a waterfall, or in a luxury villa, or with a dramatic mountain backdrop if you want. You can sail away in a yacht, or speed off in a convertible sports car, or take a magical ride in a horse and carriage. 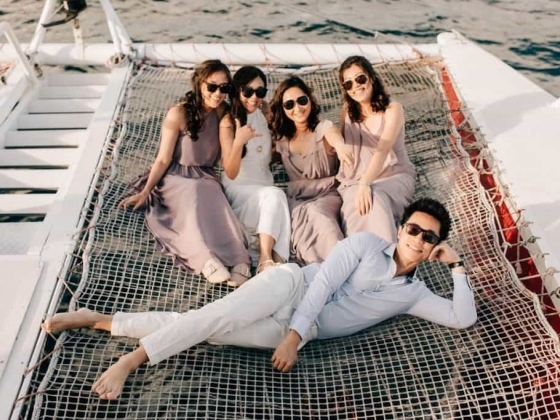 The emphasis is on quality not quantity, you will never feel like you are on a conveyor belt with several other couples, all getting married on the same day at the same location. 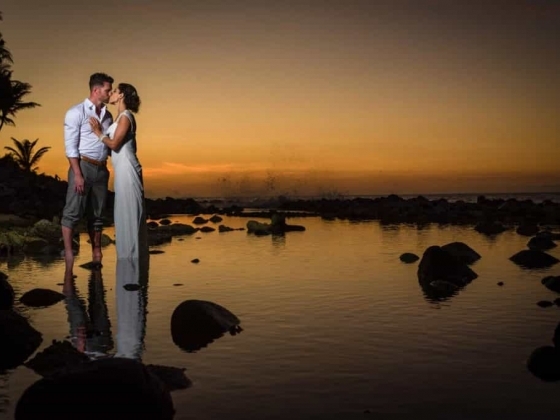 Together, we will design and create an unforgettable experience that truly embraces the beauty of your love story and the beauty of the surroundings on your wedding day. We believe that every couple is unique, therefore we do not offer cookie-cutter packages, as many resorts do. Instead we create and personalise your day so that it expresses your wishes and personalities. 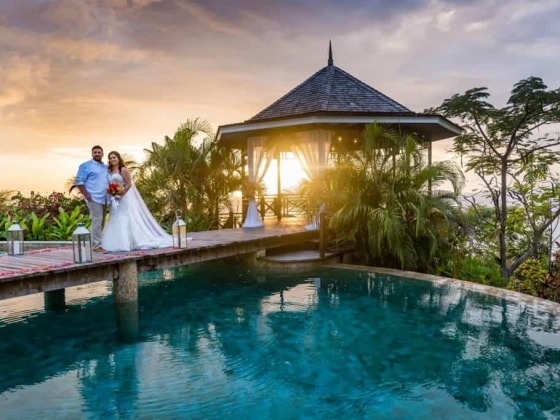 Your personal planner at Awesome Caribbean Weddings will arrange everything with creativity and flair, and according to your specific requirements. 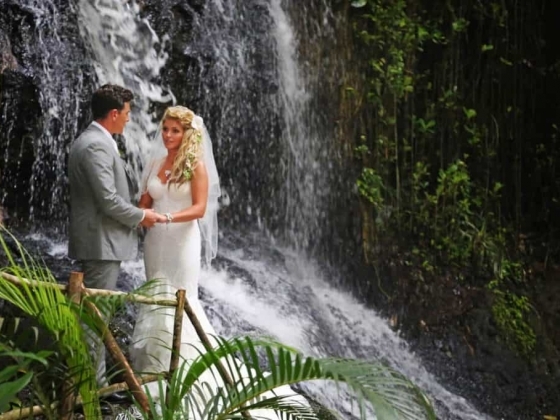 Our company is ideal for couples looking for a venue outside of a hotel environment or for something more original than the standard marriage package offered by a traditional resort. 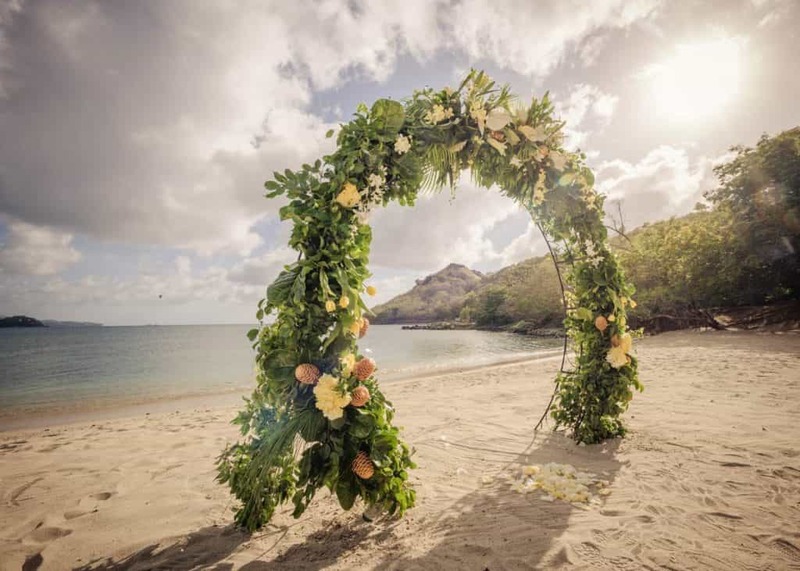 Your experienced wedding planner will assist you with personalising every aspect of your dream wedding, down to the very last detail, including liaising with the top florists, photographers, caterers, bands, DJs and other vendors that suit your vision and requirements. Together, we will devise the wedding master plan that maps out all the little details, from ceremony music to favours and everything in between, and all within your budget. As a result, the planning process is lengthy and detailed. Over the years we have developed a brilliant planning system that makes the wedding planning process as simple as possible for each couple. We take care of every detail so all you have to do is ENJOY and RELAX! Awesome Caribbean Weddings organise weddings only in Saint Lucia, enabling us to offer our in-depth knowledge of the island to fit your ideas to reality, and of course we can oversee the whole event. We restrict our order-book to one wedding on any given day, or even week depending on the size of the group, so you know that you will have our undivided attention. Fenella! Thank you for everything! Our wedding in December 2018, was exactly how we envisaged after two years of planning, it was amazing to finally see everything come together. 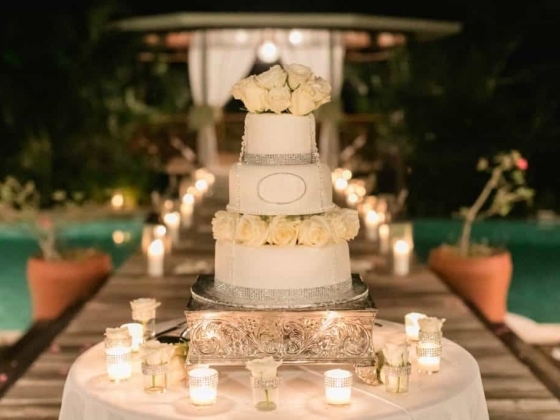 The day was seamless because Michele anud her team paid attention to the detail. Michele is friendly, reliable, professional, highly organised and honest. She listened to us yet was not afraid to tell us if something could not work. We had plenty of laughs along the way and made the whole experience a truly memorable one. I know some people would say that it is what you are paying them for, but it honestly felt like she often went above and beyond the norm. She made us feel as though we were the most important people. AC made the day stress free and on the day of the wedding she was everywhere! We honestly do not know how she did it. We had 100 people flying from the UK, US, Canada and other parts of the Caribbean and everyone commented on how the day just “flowed” so well. Thank you sooooooooo much Michele you were brilliant! Also a big shout to Anne (hairstylist - felt like family), Hannah (amazing make up artist), Liz (lovely lady and lovely nail art), Brent (www.bexphotopro.com) who worked magic on our photos and EyeKast (the best videographers ever :) in our opinion of course) and Martin our DJ who had our guests and the entire venue partying away. 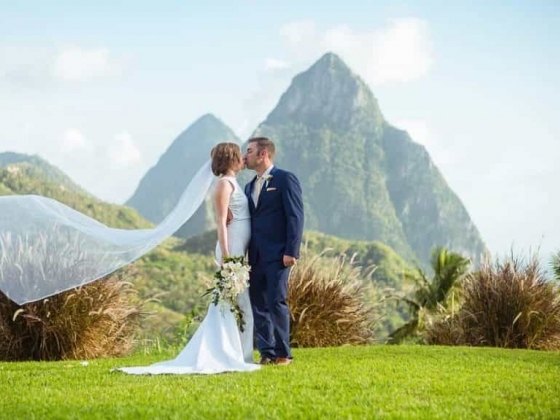 Awesome Caribbean truly lives up to their namesake and offer brilliant packages for all budgets - so anyone looking to get married in St Lucia we recommend AC every time. 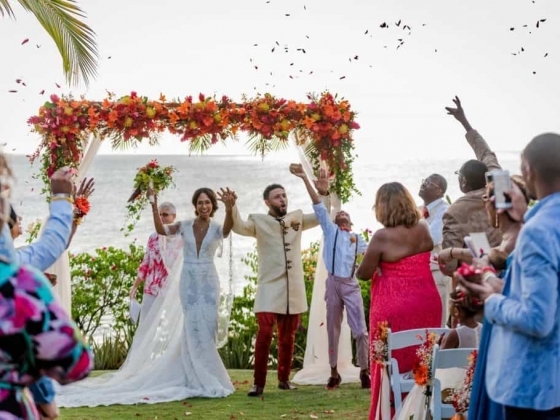 Awesome Caribbean Weddings were absolutely fabulous in organising and tailoring our perfect wedding day in beautiful St. Lucia (December 2018). A huge thanks to Michelle who made the planning of our special day so seamless and worry free. 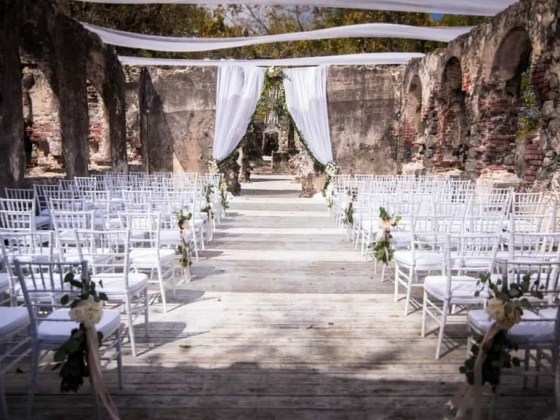 While they offer a range of options and packages for big or small weddings in various locations, the local knowledge and experience was invaluable when helping us to match our needs. We travelled from Ireland and wanted a very small and intimate church wedding during our stay on the island. 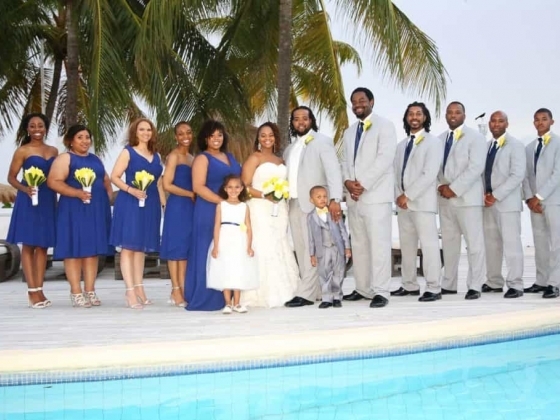 Awesome Caribbean Weddings were very professional and efficient in arranging this, including the legal aspects, booking the church, priest, photographer and car. Services such as hair and make-up are also available. 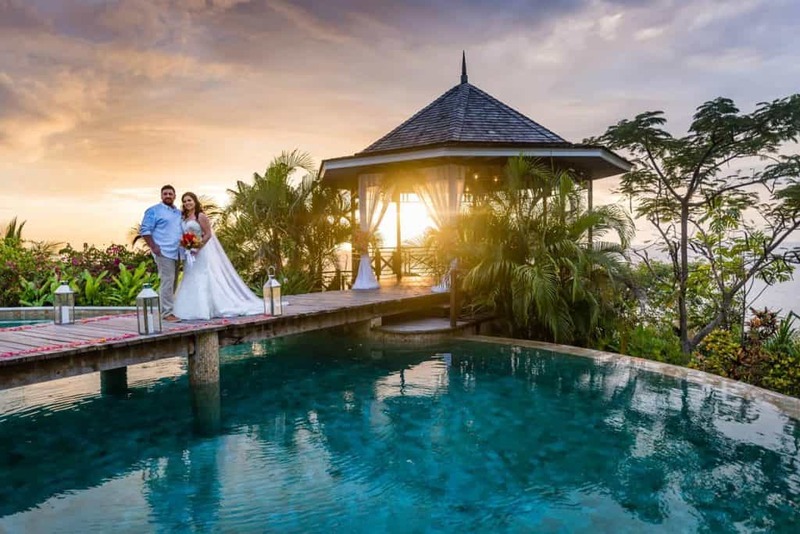 We would highly recommend getting in touch with Awesome Caribbean Weddings if you are planning your special day in St. Lucia.